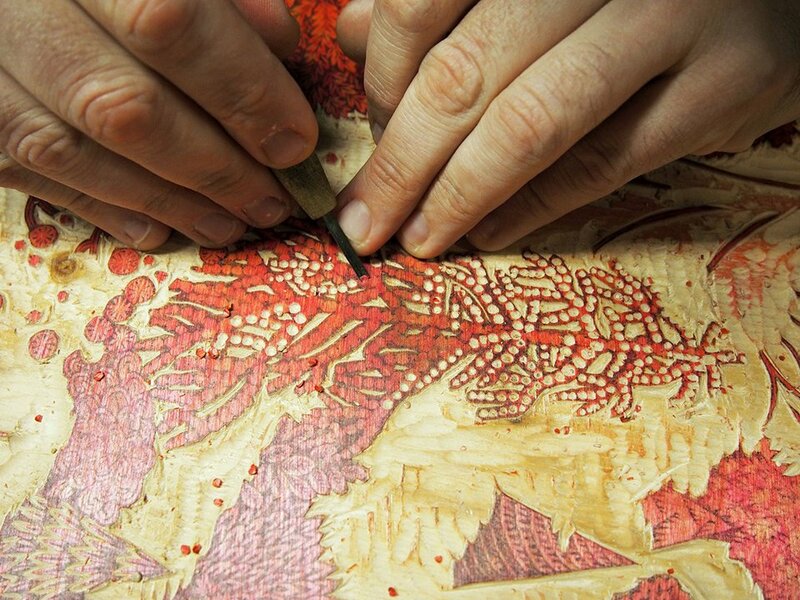 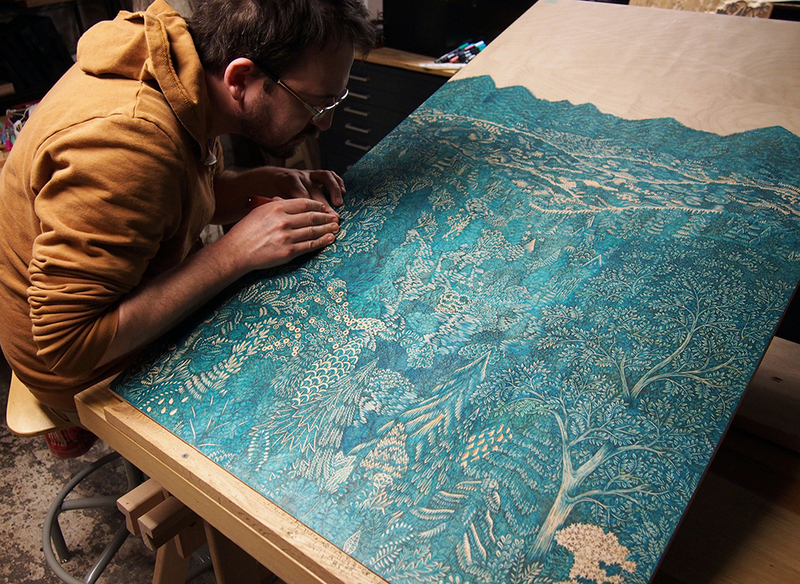 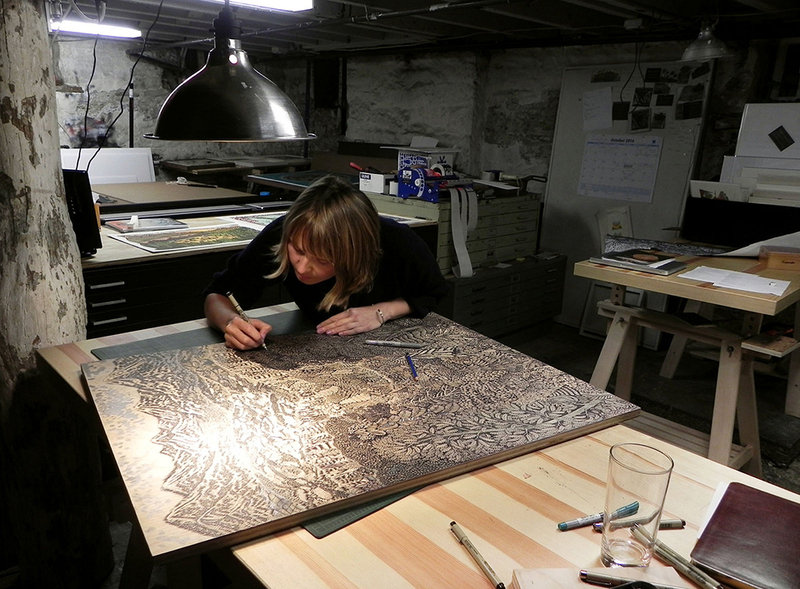 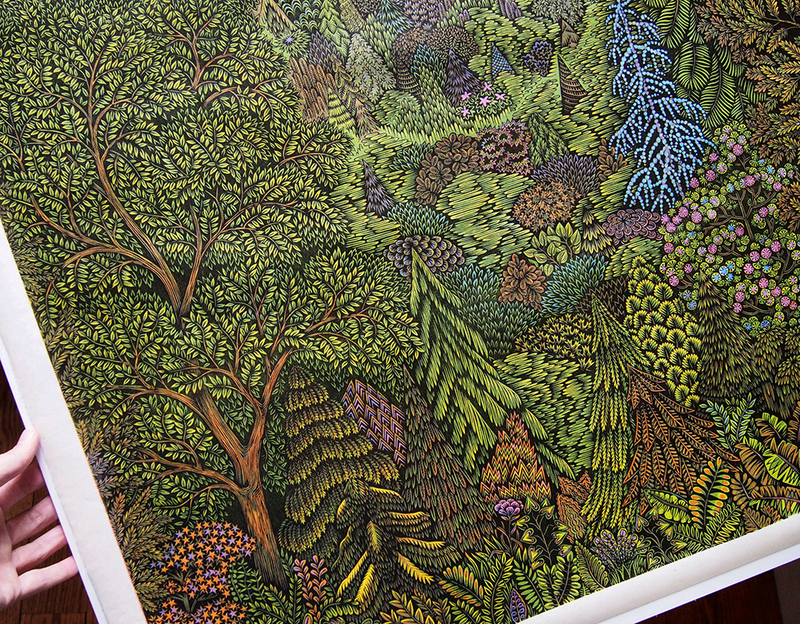 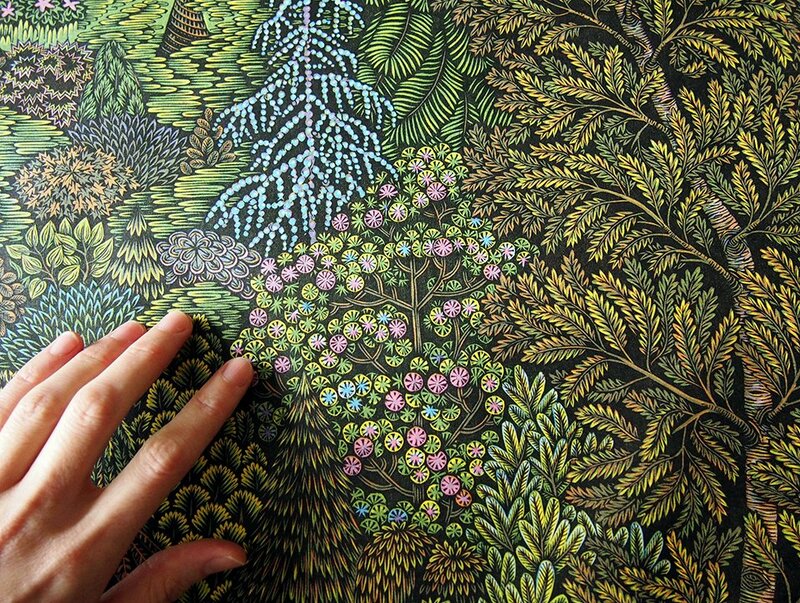 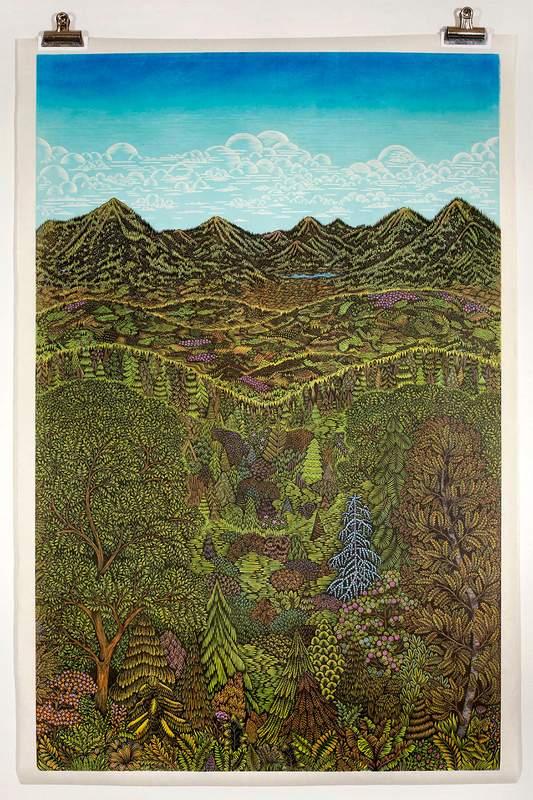 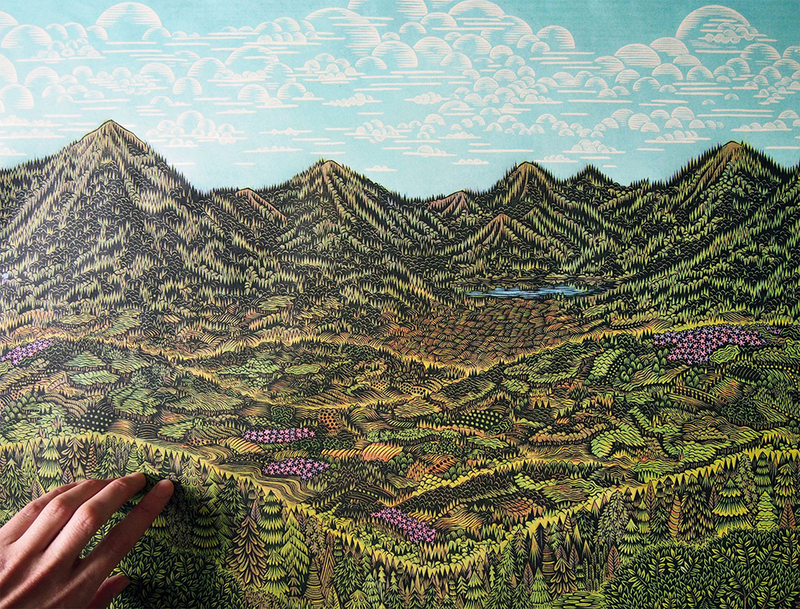 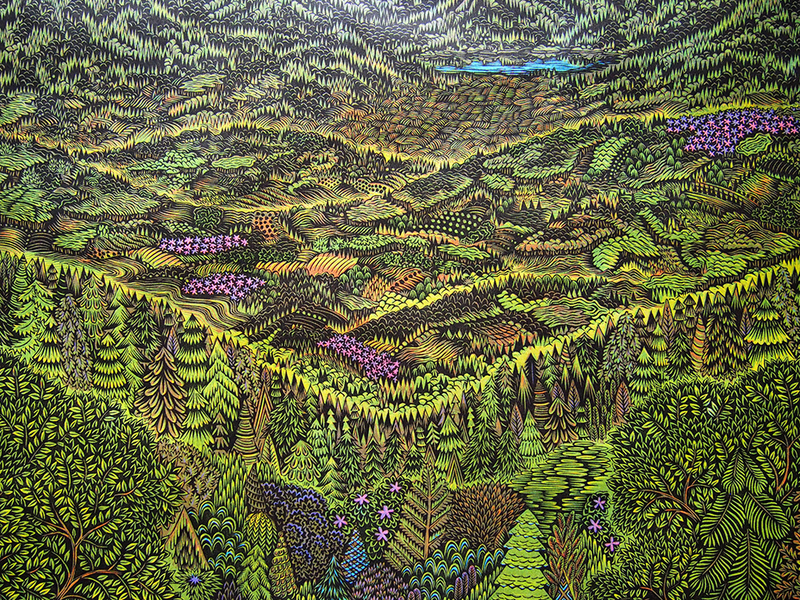 A massive woodcut print that is as much an homage to nature’s beauty as it is a testament to hard work and dedication. 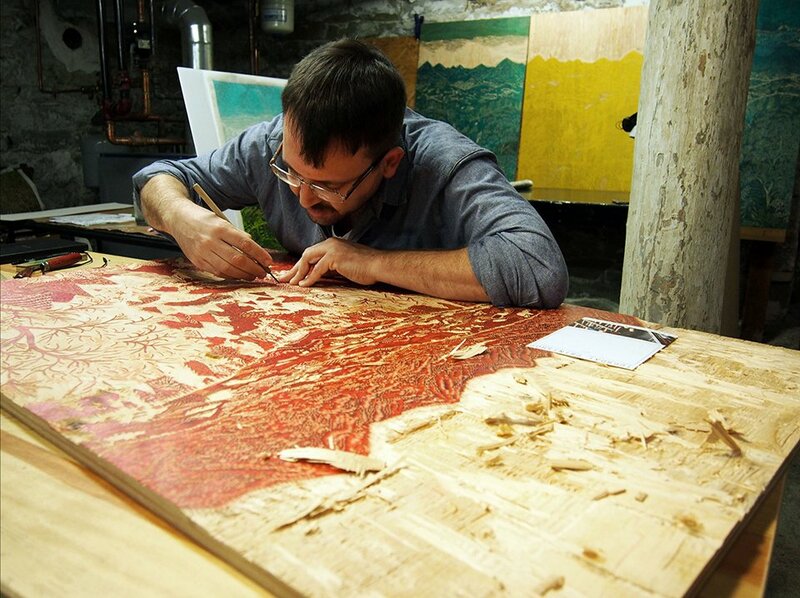 Each 46″x 30″ print is made by hand using five 44″x 28″ wooden blocks – one for each color. 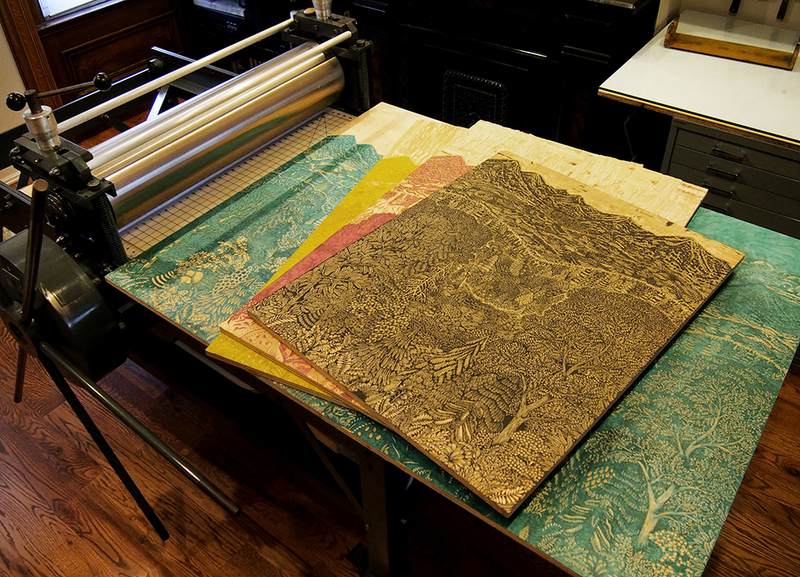 It took Tugboat Printshop 3 years to carve the blocks.